to craft the most intricate, unique balustrade designs in Southeast Queensland. At Dean Wilson Iron, our extensive experience working with wrought iron has allowed us to develop our processes in a manner that accounts for all of your needs. Every one of our balustrades is handcrafted and we pride ourselves on our unique and individual designs – when you purchase a wrought iron balustrade from Dean Wilson Iron, you can be assured that there is not another one like it. Our philosophy is simple: to craft a wrought iron balustrade that will effectively serve its purpose to protect your safety, whilst complementing the features of your house with stunning design and craftsmanship. With many years of experience forging beautiful wrought iron designs, the team at Dean Wilson Iron understand that every one of our clients has different needs. Home design, interior design, personal styles and practical requirements all play a major role in the final design of your wrought iron balustrades and we strive to account for each of your needs to create a finished product of unrivalled strength, quality and aesthetic appeal. No Job is too big or too small; we can cater for everyone’s needs whether you require a sleek and elegant indoor balustrade, a grand and stately outdoor balustrade or anything in between. Balustrades, when chosen correctly, can be an effective design feature of any home. Balustrades fitted to the outside of your home, on patios or balconies, can be seen from outside your property and as a consequence, will have a bearing on how your home looks. Similarly, balustrades installed on the inside of your home can be a focal point of your interior. This is something that we take into consideration and the team at Dean Wilson Iron have taken many steps to ensure that our wrought iron balustrades match the design of your home. We have worked with interior designers and homeowners alike to develop some of the most strikingly unique creations in the Gold Coast and no job is too big or too small for us. We are able to offer wrought iron balustrading solutions for all of our clients, whether they live in large mansion or a classic Australian Queenslander; we have even provided wrought iron solutions for cathedrals. Wrought iron has been a design feature of some of the world’s greatest architectural wonders and it offers you a timeless style, with strength and durability to match. This does not mean that it cannot be used effectively in modern designs, however. We have worked with clients in contemporary and classical homes alike to provide wrought iron balustrading solutions that foster a unique ambience of each home specifically. Service that takes every one of your needs into consideration. Stunning and unique designs that will reflect your individual style. Quality that ensures longevity, durability and an immaculate finish. Installation that guarantees the upmost in safety for you and your family. To make sure that our final product is perfect for you, we take many steps throughout the build to ensure that we are on the same page as our clients. Here at Dean Wilson Iron, you are our number one priority; we pride ourselves on providing wrought iron balustrading solutions that are perfectly targeted to your needs. We believe that the features of your home should reflect your personal style and preferences and we strive to create every one of our balustrades with this in mind. Our first priority is delivering unique balustrading solutions and doing this requires a lot of client consultation. We value your input and the first step of our process is a detailed discussion of your needs. Your needs can include legal requirements to install a balustrade, your personal design concept for the balustrade, the design features of your home and any other points that you think are important. This information allows our team to create the most personalised and targeted wrought iron balustrade for you. We understand that you do not want to commit to anything without first giving it some thought. Because of this, we will provide you with a quote upfront, based on some approximate measurements and design information. Once we have receive this information, we can form your initial quote instantly, which provides you with plenty of time to consider your options and present us with any queries you may have about the balustrade. Once we have completed the preliminary consultation and quote, we can begin work on your wrought iron balustrade. We have had a great deal of experience working with wrought iron and are well positioned to craft the most detailed and intricate designs – as per our initial discussion. We will keep you updated throughout this process to ensure that all of our work is on the right track; our team will send you progress photos of the build and we even welcome client inspections at various stages of completion to ensure that you are completely satisfied with the final product. Once your wrought iron creation is complete, it will be ready for installation. At Dean Wilson Iron, we understand that balustrades are not only a decorative feature – they are also important for the safety of you and your family. Because of this, we use our wealth of knowledge and experience to carefully install the balustrade in a manner that will guarantee its strength and durability, to keep you and your family out of harm’s way. If you have your own design concept or would simply like to discuss your options with an expert, then contact us today. We can help you refine any designs that you are interested in and we are well positioned to bring your design to life with our wrought iron balustrades. You can see evidence of our work across Southeast Queensland on Facebook and we will happily address any queries you may have. #1 Is wrought iron a durable and rust resistant material for balustrades? Wrought iron is a fantastically durable material that will not rust if it is finished correctly. 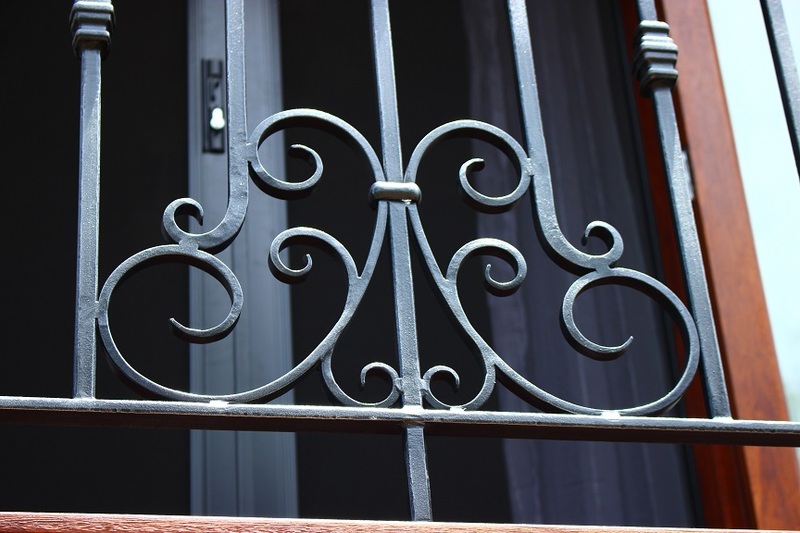 We take many precautions to safeguard our wrought iron against rust and this begins with a grade three sandblast, followed by the application of a protective zinc coating and a decorative powder coating or hand-rubbed natural iron finish. These all protect our products effectively against rust – even in the coastal environment of the Gold Coast. 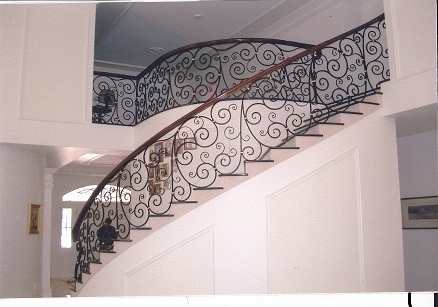 #2 How long does it take for you to design and manufacture a custom wrought iron balustrade? We handcraft each of our wrought iron balustrades, so it is ideal to allow as much time as possible – this ensures the best finish on the final product. Typically, it takes us six to eight weeks from design to build and we have found that this timeframe allows us to craft perfect wrought iron balustrades. #3 I have some design ideas in mind for wrought iron balustrades but I do not know where to start? 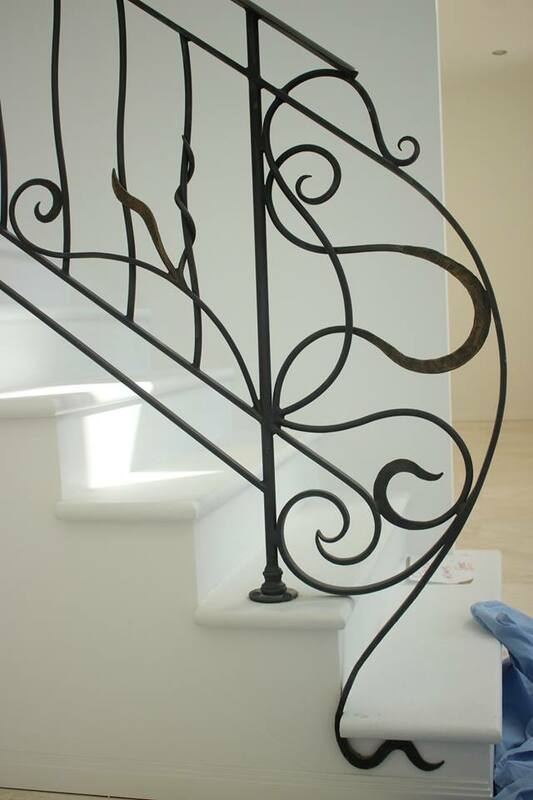 Here at Dean Wilson Iron, we have all experience and expertise necessary to guide you through the design of your personal wrought iron balustrade. We offer a design consultation to refine any ideas you may have and even explore new ideas if you feel that you can’t quite decide on what you are looking for. We have worked with many interior designers in the past and are familiar with the best methods to get your design perfectly refined. #4 Do you guarantee your wrought iron balustrades? Our foremost priority at Dean Wilson Iron is quality. We recognise that your balustrade is a safety measure as well as a design feature, so we take our job of creating your balustrade very seriously. To support the uncompromising quality of our products, we guarantee every balustrade for ten years against rust, manufacture and installation.